So plans are afoot to install four ‘Archimedes’ Screw’ electricity generators at Sunbury Weir – and, not surprisingly, there is a good deal of opposition to the idea being expressed. Now I’m a strong supporter of renewable energy – it’s something we have to address well before we finally squeeze the last drop of oil from our planet’s crust. But I think the plan to build four concrete ‘tubes’ at the weir to house the generators – each around 11 feet in diameter – will prove too big a price to pay for the 0.36 megawatts of electricity that the scheme will apparently produce. I have to say that the Environment Agency, which spends a lot of its time working hard to clean up the river and encourage the restocking of fish species, says that the development would have a negligible affect on fish and eels because a new fish and eel pass would also be installed. I just don’t think it’s the right place for this kind of green energy. I received an irate email from Herald and News reader Richard Hall this week, who raised an interesting point. Good point, Richard. The limit is 8kph – which converts to 5mph or 4.3 knots – but as my wife pointed out, it could also easily be misread and encourage inexperienced boat owners to travel at eight miles per hour. Anyone from the EA care to explain why the signs are in KPH…? This sizeable flock of birds flying over the Thames in the evening were photographed by Penton Hook resident Nigel Brecknell – but exactly what kind of birds are they? 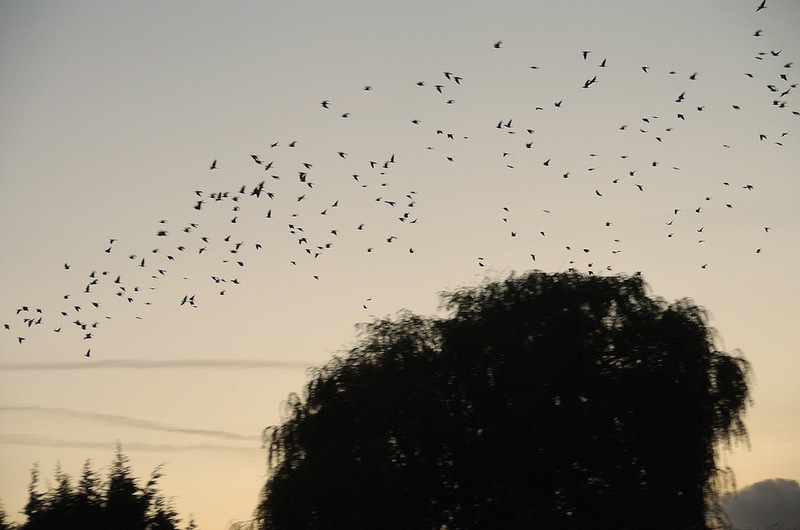 I wrote earlier this year about the large flocks of birds that were seen wheeling above the Thames mornings and evenings when reader Nigel Brecknell who lives near Penton Hook raised the matter. But when I last mentioned them, no one could definitively confirm what kind of birds they were. I ran into Nigel the other evening and he tells me the birds still regularly appear and he has even forwarded a new photograph of them over his house. Originally he thought they were rooks but another correspondent, Hugh Evans, believed they were jackdaws. Can anyone clarify the matter? And, more intriguingly, can someone tell us where these birds roost at night? Watt on earth are they thinking?